DJ’s and mobile entertainers who want to brighten up their act and add some color to their performance can do so – literally! – with the new Colored HP 550 Headphones from American Audio. 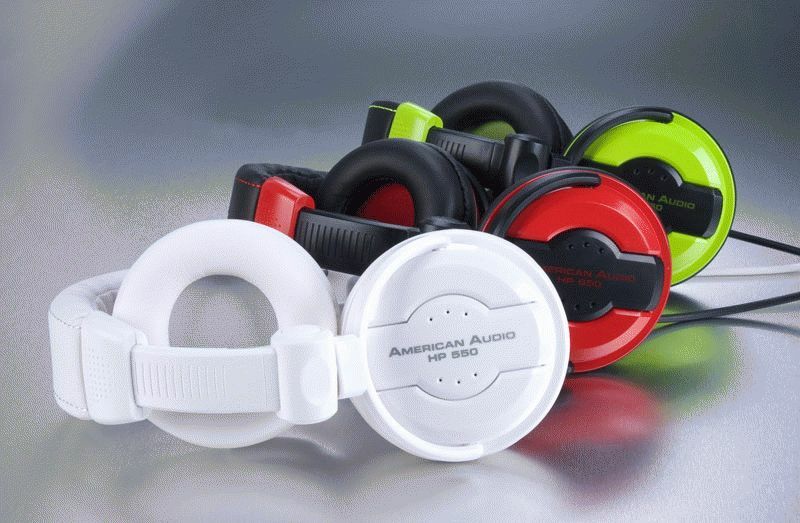 A great way to show your style onstage or in the DJ booth, these cool-looking headphones are available in 3 eye-popping colors: Lava (hot red), Lime (lime green) and Snow (bright white). Best of all, and mobile entertainers can express themselves through color and stand out from the crowd without sacrificing sound quality. The new colored HP 550 headphones are just like American Audio’s top-selling black HP 550 professional headphones, delivering the same stellar sound and features that have made the original phones so popular. Like the original, the colored 550s include a high-power input (3,500mW) that’s ideal for monitoring high sound levels, and a hermetically sealed body which provides excellent sound insulation. The headphones also have a flexible, soft-touch housing that delivers maximum comfort and allows for both double and single ear monitoring. To accommodate the variety of equipment used by DJ’s and mobile entertainers, the color-accented HP 550 headphones come with a standard mini plug as well as two additional 1/4” stereo adapters: a standard, straight adapter, and a right-angle adapter, both of which come with a locking nut which secures the connection and helps to prevent accidental unplugging while in use. The partially coiled cord is a generous 14.5’ long, allowing for freedom of movement during performances. Also included is a storage bag, which not only protects the headphones during transport, but can also be used to keep the adapters with the headphones, for quick access. The 550’s are equipped with a universal joint, which allows them to fold for easy transport.